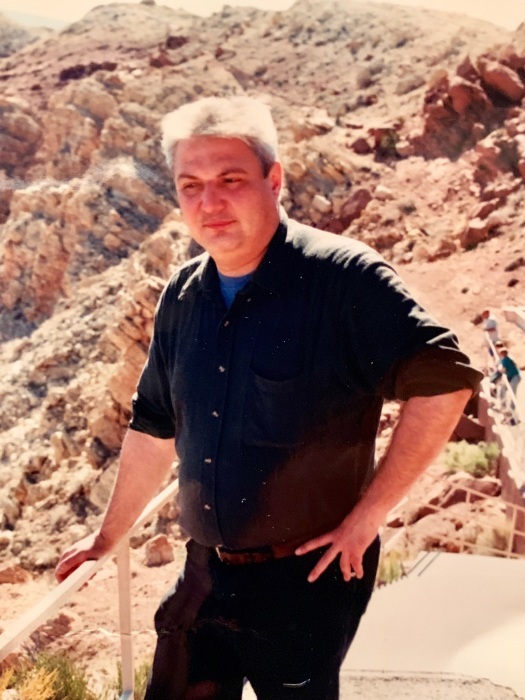 Bohdan Kowalczuk died unexpectedly on Friday, January 11, 2019 in Henrico, Virginia. He was born in Philadelphia on October 25th, 1956. He was the son of Kataryna (Pavliw Seniak) and the late Mykola Kowalczuk. Bohdan is also survived by his sister, Olga Woloszczuk and her husband Alexander, and nieces Larissa and Kyra. Bohdan attended Immaculate Conception Ukrainian Catholic School and was also a graduate of Cardinal Dougherty High School, Class of 1974. He attended the American Institute of Drafting and completed his degree in Electro-Mechanical Drafting and Design Technology. Bohdan started his career at I.U. Conversions Systems along side a group of Ukrainian Engineers and Designers. After I.U. Conversions, he continued to work as a consultant and contractor for various companies. In the early 90’s he started traveling to and working in Richmond, Virginia. Bohdan eventually moved to Richmond where he continued to work as an electrical designer. He worked at iTech, Raytheon, Kaiser and Dominion. Bohdan enjoyed the outdoors, had a love of drawing and woodworking. Bohdan was a great cook and liked to cook for his friends. While living in Philadelphia, he was a part of the Ukrainian community. He participated in the planning and building of the Club House and Garage at Tryzub - Ukrainian American Sports Club in Horsham, PA. He also sculpted the statue of Volodymyr the Great for the 1988 Olympiada. Bohdan’s family will greet friends on Saturday, January 26th at 10 AM at the Fletcher-Nasevich Funeral Home, 9529 Bustleton Avenue. Requiem Services will be sung at 12 noon. Burial will follow at St. Mary Ukrainian Catholic Cemetery, Elkins Park.